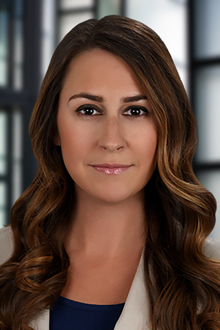 Los Angeles, California (November 12, 2018) – Los Angeles Partner Jessica Beckwith will join a panel of speakers for a legal malpractice seminar hosted by the Association of Southern California Defense Counsel (ASCDC) on the afternoon of December 11. The seminar will take place at 3:45 p.m. at The Jonathan Club, and will be followed by the association’s Annual Evening with the Judges and a new members reception. Ms. Beckwith and her fellow panel members will cover hot topics in the California legal malpractice sector, such as the JM v. Sheppard Mullin case, the applicability of the new Rules of Professional Conduct (especially as they pertain to defense counsel), the rise in legal malpractice claims against immigration attorneys, and the danger of sending settlement funds via wire. Ms. Beckwith’s experience in attorney regulation and ethics includes advising attorneys and law firms on matters relating to State Bar complaints in California, as well as fee disputes, disciplinary matters, disqualification issues, bar admissions, and other licensing, ethics, and professional responsibility issues. She also has extensive experience representing and counseling clients in a variety of administrative proceedings, government tort claims/notices of claims, and public records requests and litigation.